with threat analysis and network issues. queries via a simple HTTP request and get results in JSON format. View common Domain Name System (DNS) records, which include A, AAAA, ANY, CNAME, NS, MX, PTR, CAA, DMARK, SOA, SRV, TXT records. 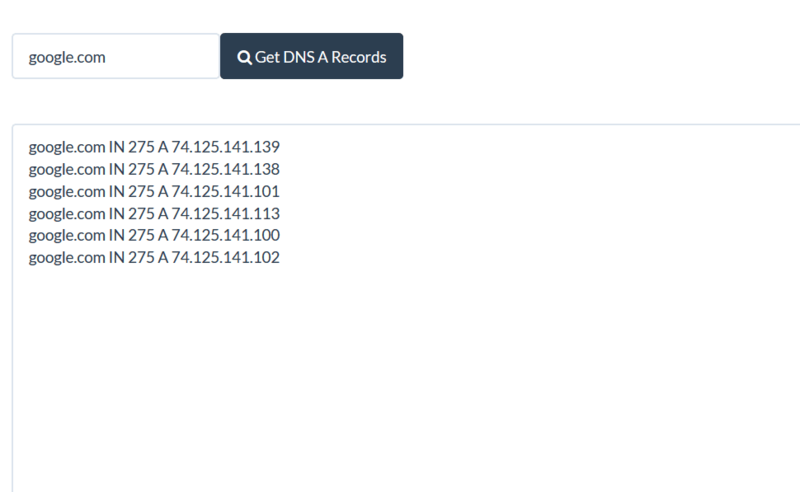 Useful to check if a domain name has correctly configured a specific DNS record or to troubleshoot DNS-related issues. 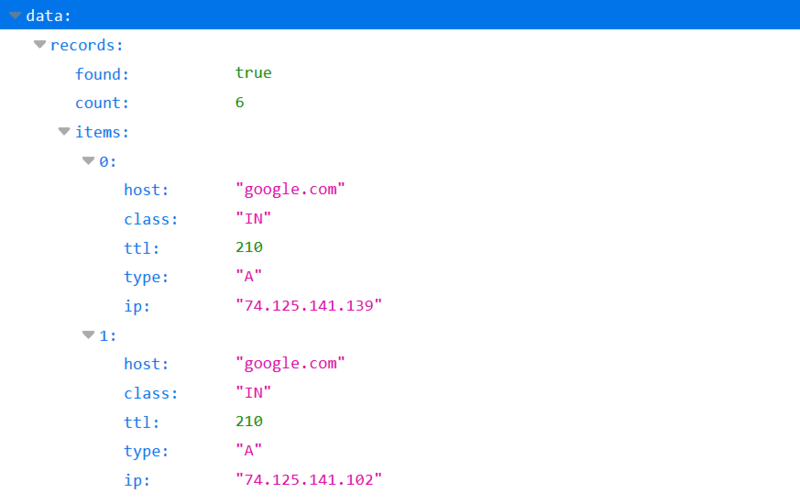 On your Dashboard we have included a simple web interface for DNS Lookup API that you can use to quickly get the DNS records of any domain by entering the domain in a web form.